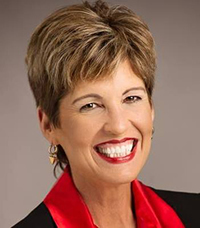 Denise Ryan helps light the fires of enthusiasm so people can do great things. She is an author, an MBA and a CSP (Certified Speaking Professional), a designation of excellence held by less than 10% of professional speakers. Her programs have been heard by audiences across North America – clients include Hilton Hotels, IBM, and the US Department of Homeland Security. She recently made Meeting & Convention Magazine’s list of planners’ favorite speakers alongside Bill Clinton, Condoleezza Rice, and Anderson Cooper. 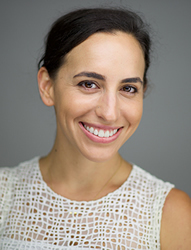 Ashley Feinstein Gerstley is an author, entrepreneur, and feminist who is on a mission to end inequality through financial well-being. She is the founder of the Fiscal Femme and the creator and author of the 30 Day Money Cleanse, which has helped thousands of people cultivate harmonious relationships with money and achieve their financial goals. Her consulting clients and keynote speaking audiences have included corporations, conferences and universities, including Pandora, StubHub, Hackensack Meridian Health, Guggenheim Partners, LinkedIn and the Wharton School, among others. As a trusted money expert, she has been featured in Forbes, NBC, Glamour and Business Insider, among others. Ashley has worked in the financial services industry for more than ten years: first as an investment banker, then in corporate finance and most recently running The Fiscal Femme. She graduated with a bachelor's in finance from the Wharton School at the University of Pennsylvania. Rosie Molinary creates space and experiences for people to answer profound questions that lead to radical self-awareness, gentle self-acceptance, and nourishing self-care so they can connect with their talents and passions to authentically and intentionally live their purpose and help heal the world. The author of Beautiful You: A Daily Guide to Radical Self Acceptance (Seal Press) and Hijas Americanas: Beauty, Body Image, and Growing Up Latina (Seal Press), Rosie serves as a national Dove Self-Esteem Project educator, offers workshops and retreats, and speaks on self-acceptance, body image, self-care, the Latina experience, non-profit management, and intentional living around the country. 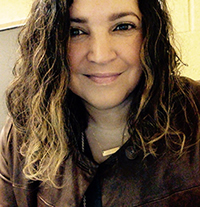 She earned an MFA in Creative Writing from Goddard College and a BA in African-American Studies and Urban Education Issues from Davidson College. A committed activist, Rosie helped found HAMMERS, a non-profit initiative to provide emergency home repair for low income families in her community, and Circle de Luz, a non-profit that radically empowers young Latinas by supporting their transformation through extensive mentoring, holistic programming and scholarship funds for further education.